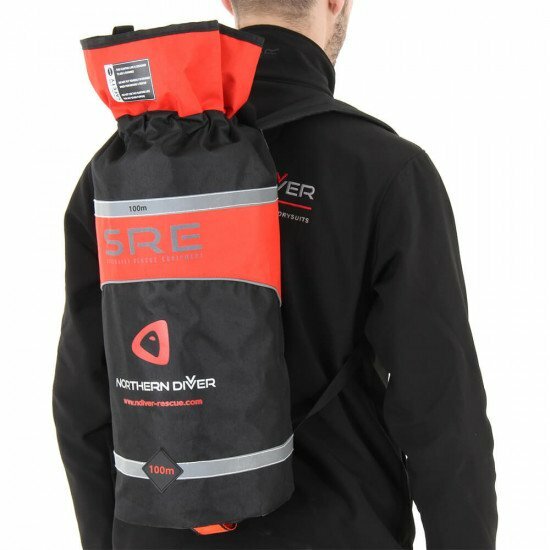 A backpack with 10mm x 100m length of UHMWPE technical floating rope. Northern Diver's 100m Floating Canyon Line Backpack has a rip-stop Cordura® nylon construction. The included rope is attached to a stainless steel D-ring that's inside the bag. This interior D-ring can be used as an attachment point, but the rope can also be removed and used on its own. There's a quick-clip clean line attachment point on the base of the bag too. 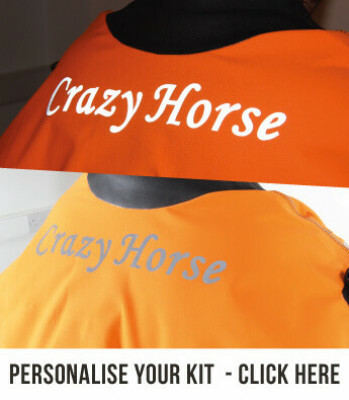 The bag has been designed specifically for the rescue sector so sports high visibility reflective bands and has narrow reflective piping stitched into the seams so your team will be easier to spot, even in adverse weather conditions. 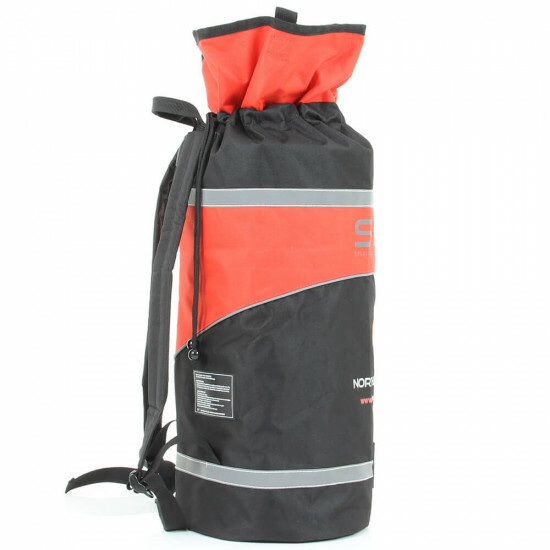 The drawstring neck enables speedy opening and closing and allows for easy access to the contents. For the wearer's comfort, the carrying straps on the rucksack are padded and fully adjustable. The safety label is printed on the neck as well as the back of bag. 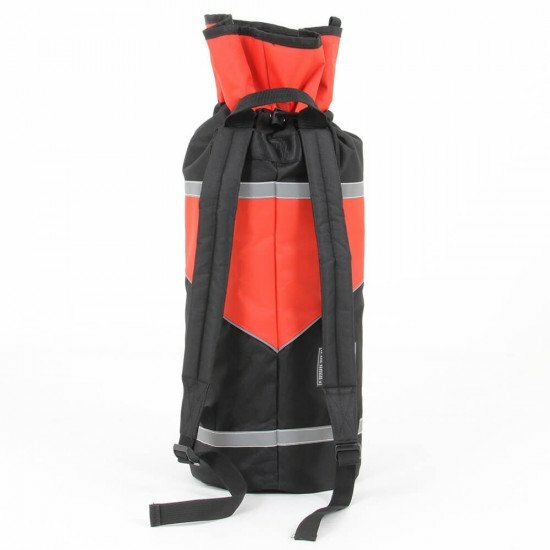 Our 100m Floating Canyon Line Backpack adheres to several Personal Protective Equipment (PPE) standards outlined in the 89/686/ EEC directive: BS EN 353- 1:2002, BS EN 358:2000, BS EN 361:2002, BS EN 362:2004. Certificate No. : EC.1282.0H140923.TZKTS97 CE approved. 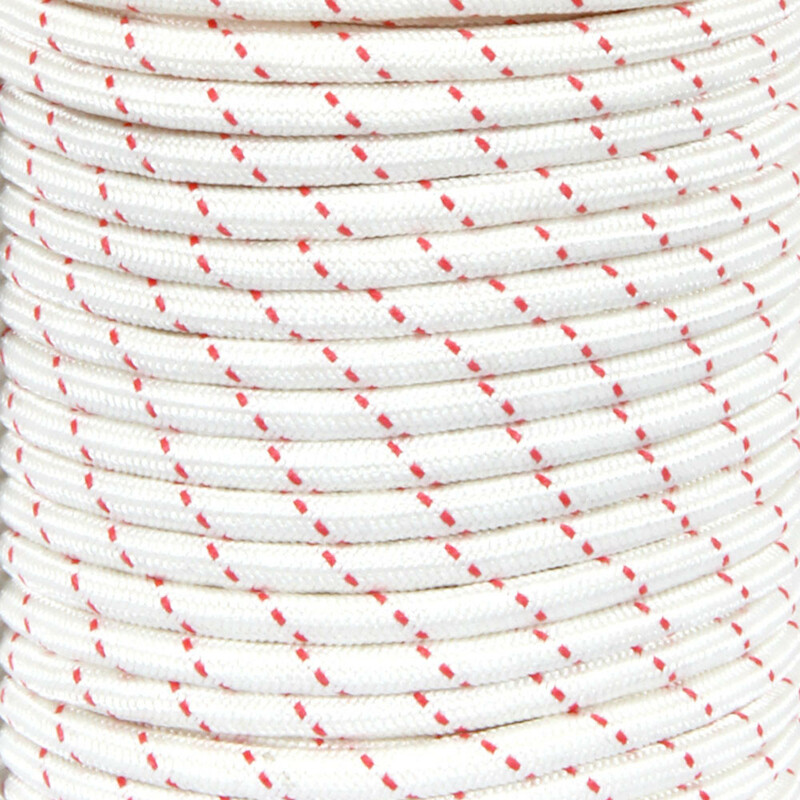 Our floating canyon line rope is white with red thread. It's 10mm thick and floats in water. This makes it a lot safer. The rope is perfect for the Rescue sector because the low elongation and low weight combined with its low stretch properties make manoeuvring extremely accurate and handeling easier. This is especially useful in emergencies and critical times when people could be in distress. The low stretch properties of our UHMWPE rope also helps it to provide greater sensitivity. 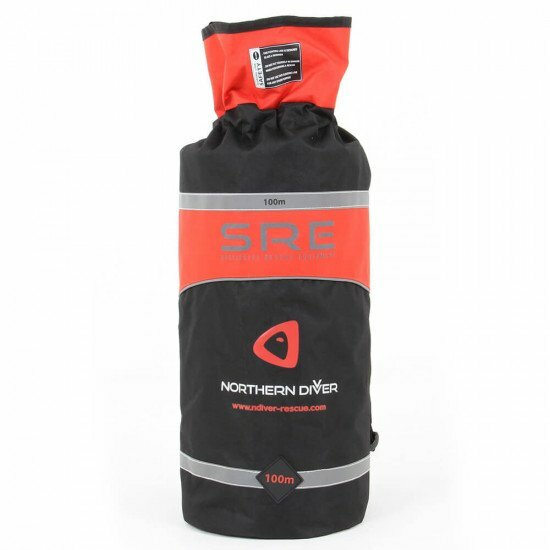 Due to its 100m length, our Northern Diver UHMWPE rope is easy to store and can be easily rapidily deployed in an emergency, even by a single individual. Because our floating canyon line rope is made of UHMWPE, it's (by weight) 7-9 times stronger than steel and 3 times stronger than equally weighted polyester. UHMWPE ropes are widely used and accepted by the major classification societies in the marine sector because they have the highest strength to weight ration. Ultra High Molecular Weight Polyethylene (UHMWPE) ropes are considered the best ropes for water rescue and for marine and industrial applications in general. 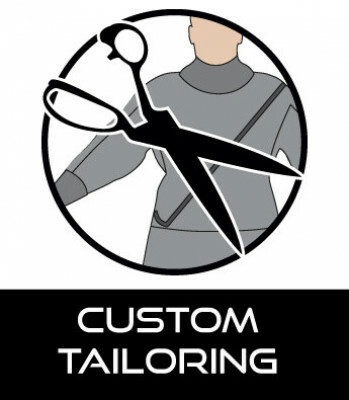 They're becoming much more popular and widely used in aquaculture, performance yachting, commercial fishing and mountaineering. What's so special about the UHMWPE rope? 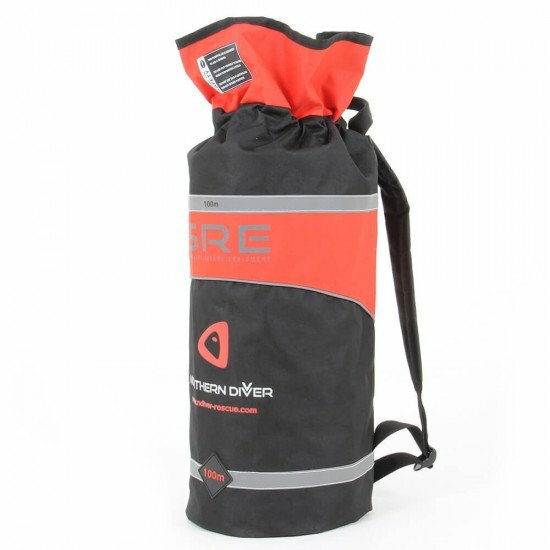 The Floating Canyon Line Backpack includes 100m of Ultra High Molecular Weight Polyethylene (UHMWPE) rope. The rope's density is as little as 0.97 which makes it light enough to float in water and has with an extremely low moisture absorption (hydrophobic). Unlike nylon, it has a low elasticity, it doesn't stretch much, even at breaking load it'll only be 3-4%. UHMWPE rope has a high resistance to chemicals (even corrosive ones, except oxidising acids), water and ultraviolet light as well as flex fatigue. 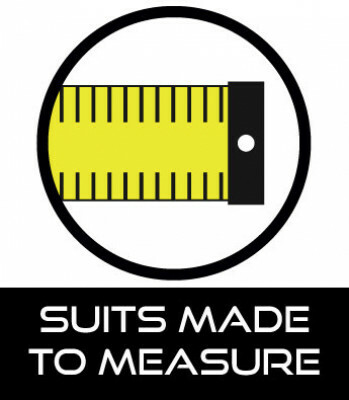 They've got a very low coefficient of friction and offers great abrasion resistance - better than Teflon. The rope provides excellent vibration damping and it's self-lubricating. Our UHMWPE rope is load tested to 4 tonnes. 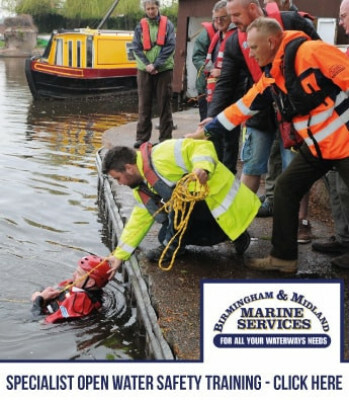 Our UHMWPE ropes are great in rescue situations, they reduce the chance of injury and crew fatigue. In comparison to other ropes, they have an increased lifetime, they're lower maintenance and their low dielectric constant makes it virtually transparent to radar. UHMWPE rope is at least 8x stronger than steel wire rope (weight-for-weight). Because the rope is thinner and lighter, it's a lot easier to use than steel or conventional fibre rope. This will in turn increase speed and safety. HMPE fibre doesn't become brittle until it's -150ºC and the melting point is between 144ºC and 152ºC. This means the UHMWPE rope can be used in environments between -150ºC and 70ºC, although brief exposure to warmer temperatures won't cause any serious loss of properties.